So this post has been a long time coming and I’ve spent the last week banging away at my environment to get it up to spec. 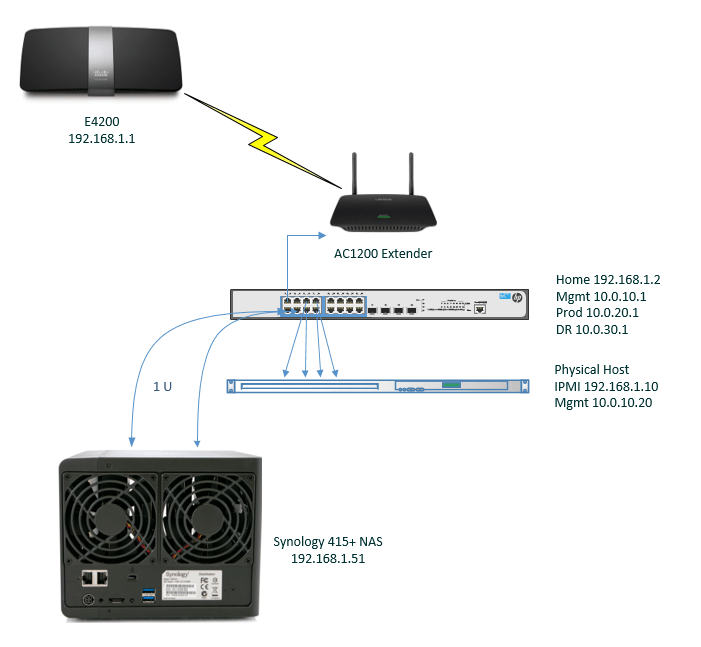 The main house router will be the focal point of connectivity between the HomeLab networks and the rest of the world. To maintain mobility, I will us a range extender mounted to the top of the quarter rack, this will connect my home subnet to the quarter rack without needing CAT6, so the only wire running out of the rack is 1 power cable. Establish VPN connectivity to my AWS VPC!